She came, Isabel thought with a flash of clarity, to see me. To decide what she thought of me, and what she could get out of me. It had been an attack, of sorts, and people did fight who lived in castles like these. Not with fists and feet and claws, but with words and whispers and influence. Isabel couldn’t remember having been here before, but she knew. It was a fight, or rather a game, with many players and many rules and many strategies. She smiled suddenly, feeling her blood pump through her veins. She didn’t know how, and she didn’t know why, but she was suddenly sure it was a game she knew how to play. With that passage alone, you already have an idea of why this book is recommended for MWT fans. There’s a lot of political and court intrigue involved in this book. The reader is always kept guessing, with no idea what’s going to happen next or what the characters are thinking. Every person is suspicious of everyone else because they all know that they all have their court masks in place. You never know if someone’s plotting against someone else. This reminds me more strongly of Sherwood Smith’s work rather than MWT. The Kristin Cashore and Tamora Pierce comparisons come from having a strong female protagonist, capable of fighting her own battles with words or with physical strength. 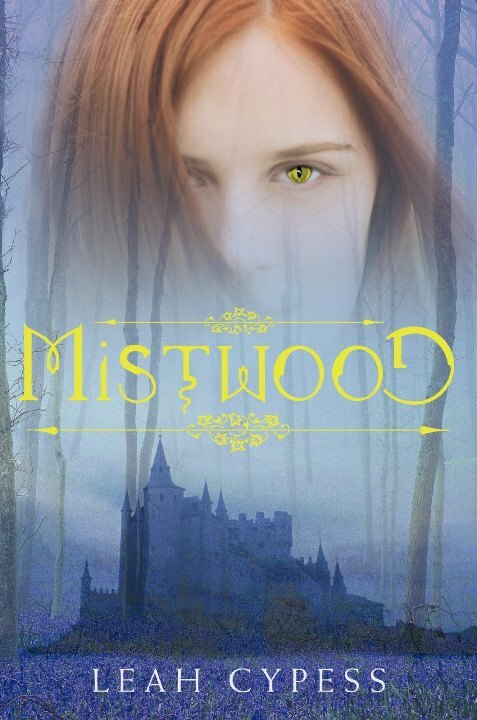 I enjoyed reading Mistwood and I second the recommendation for the three authors already mentioned and Sherwood Smith fans might also be curious about this one. I know that whenever I like a book, I always mention the characters but I can’t help it. Any book that has a well-written, character-driven plot packed with intrigue and set in a beautiful, magical world will always get to me. I liked Isabel and how she adapts to a life that she can’t remember anything about. At the start of the book, she’s lost and confused but she gains her strength as she uncovers more truths about herself, the kingdom and the major players in court. Other notable characters are Prince Rokan, the reluctant king-to-be who cares too much about everything and Princess Clarisse, beautiful and seemingly cold-hearted with no concrete allegiance to anyone. When I got a copy of Mistwood, I put the book that I was reading on hold so I can go ahead and read this one. Now that I’ve finished, I don’t want to go back to that other book because I want to keep myself immsersed in Mistwood’s world. I’m definitely going to watch out for Leah Cypess’ future releases. It’s always nice to see other people liking the same books one likes…and I did like this one so much! I was so embarassed when I realized that I was spelling her name wrong. I immediately corrected all my previous posts. Oh, I’m happy you liked this one, Chachic. I thoroughly enjoyed it. And it surprised me in many ways, which is always a plus. Can’t wait for the companion novel she’s working on! I really liked this, too. Every time I thought I had everything figured out, I was wrong again! I keep hearing such good things about this book and really need to pick it up. Each new review I read makes me more and more intrigued. I think I’m going to have to track this one down post-haste! Thanks for letting me know that it was already available locally! And yes, you should read this as soon as you can. 🙂 It’s good that you don’t get tired of my recommendations. I just reviewed this book and I loved it too. *Spare* is a really good word to describe it…..and that’s what I loved about it. Great character and story development.